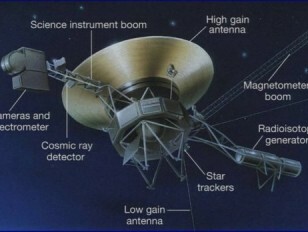 The main problems associated with communicating with distant space probes like Voyager 1 are investigated. The role played by diffraction in limiting the amount of power receivable on Earth is discussed. The further problems of reaching a nearby star are introduced and the inevitable time delay illustrated.